It’s a big day for all things tech, with both Microsoft’s E3 2013 press conference and Apple’s WWDC 2013 kicking off at the same time, and Sony’s PlayStation reveal lined up for the later part of the day. While Microsoft revealed games that for the Xbox One, Apple took to the stage to announce a pretty big redesign of both its mobile and PC operating systems. Apple’s WWDC 2013 keynote brought in some exciting changes that only solidify its commitment to elegance and simplicity. Read on for everything announced today in our Apple WWDC 2013 Keynote round up! Apple’s Mac Pro range of desktops was designed for the power user, but the last few iterations weren’t exactly flying off the shelves and it desperately needed a refresh. 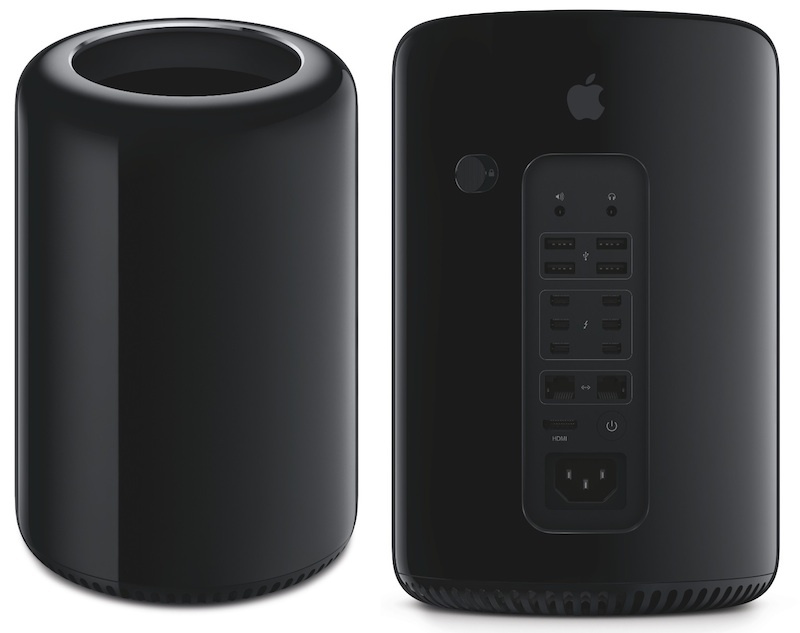 So this year, the Mac Pro line was finally refreshed and completely redesigned. It’s apparently designed to last for 10 years at least, and packs in some serious firepower. Before we get to the internals, it’s worth noting that it looks like a lovechild of R2-D2 and Bose speakers, which isn’t as bad as it sounds. At just 10 inches tall and 6.6 inches wide, the Mac Pro is tiny, but can handle anything you throw at it. It comes with a 12 core, 256 bit Intel Xeon E5 processor, RAM running at 1866 MHz capable of 60 Gbps, dual AMD FirePro graphic cards capable of 4K resolution and a host of ports (4 USB 3.0, 6 Lightning 2.0 ports). Also included is WiFi 802.11 ac and Bluetooth 4.0 capability. These sky high specs will probably have a sky high price, which isn’t announced yet. One of the thinnest and lightest range of laptops in the world also gets a refresh, but the only change is with the processors and WiFi. As expected, the new Macbook Airs will come with Intel 4th Generation Core processors (Haswell) and 802.11 ac WiFi capability. This change in processors also means that they will now have increased battery life, as Apple and Intel both claim, upto 40% higher. In a break from tradition, Apple has decided that further versions of its PC operating system will no longer be named after large cats, but will be California themed. 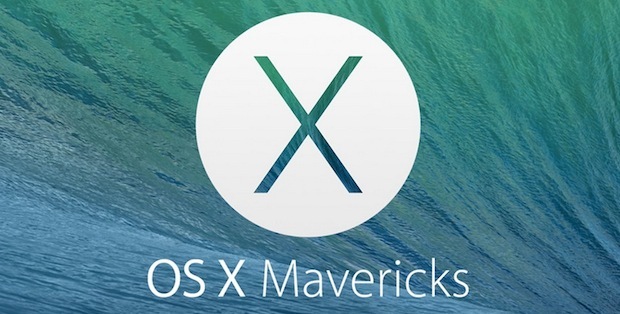 The new version is called Mac OS X Mavericks, which is a throwback to a famous surfing spot in California. So what’s new in Mavericks? Quite a lot, but mostly under the hood. First off, there’s a new feature called finder tabs, that lets you add tabs by clicking the plus sign on a window. Then there’s a new tagging system that lets you tag files based on location and other details that make sorting much easier. A useful but previously overlooked feature is also added in Mavericks, multiple displays. You can now work on one screen while the dock is on another, and you can use Apple TV for a third display as well. A new feature is the notification center, which syncs with your other Apple devices so that you can have the same notifications on every device, for a seamless experience. Another neat feature is the integration with Apple Maps, that lets you send directions from your Mac to iOS device and vice versa. And finally the calendar has been revamped to include weather and Facebook notifications plus travel times. As mentioned earlier, a lot of the changes are under the hood, and will mostly benefit laptops. Every native app and program has been optimized for minimal CPU usage as the OS itself has been, which should result in better battery life for Macbooks. Perhaps the biggest news out of WWDC 2013 was iOS 7, a completely redesigned mobile operating system. There were rumors since a while about Apple changing the UI to be more “flat” and minimalistic, and looks like they weren’t wrong. Pretty much everything from icons, to typography to design has changed, and for the better. Apple has done away with 3D-ish icons and replaced them with flat icons and a brighter color palette. The first thing noticeable is the transparency and animations. To provide a sense of depth, iOS 7 will use the device’s motion sensors to have the background layer stay slightly more static than the upper app or app list or menu layer when you move the screen around. It’s really more visible in a video, and looks rather nice. Proprietary apps like Game Center, Messages and Mail have been redesigned as well, to keep in line with the new look and include some new features as well. By new we mean new to iOS, but seen on Android earlier. This includes the ability to swipe away notifications and mails, which can now appear on the redesigned lock screen. The most Android-esque feature is the new Control Center, which includes shortcuts to the usual WiFi, Bluetooth, Flight Mode and the like, in addition to camera, calculator, timer and thankfully, flashlight. It’s accessed by swiping upwards from the bottom of the screen. Some of the other changes include intelligent updating, which monitors your usage and network quality to minimize battery and network usage. Safari gets a new UI and a welcome change, which is the removal of the 8 tab restriction. The Photos hub now supports AirDrop, is iCloud integrated and includes a couple of new organizational features apart from the obligatory redesign. It will be available only for iPhone 4, 4S and 5, iPad 2 and later and iPod Touch 5th generation by July end. Apple’s voice recognition service gets even better with new voice options and app integration with Twitter and Wikipedia, but the biggest change is that Apple has ditched Google as its default search engine in favor of Microsoft’s Bing. Quite a big move indeed, could this be the beginning of a partnership between the two giants, at least on the mobile front? Yes it’s obviously getting a redesign, but many users will be happy to know that the App Store will now support automatic updating, which is quite a boon. Apart from this, the App Store will now give you suggestions based on location, and now also includes a kids section. Oh another tidbit, the App Store now has 900,000 apps. Good lord! The much hyped and rumored music streaming service from Apple was finally announced and thankfully not called iRadio. It will allow ad supported free streaming or ad free streaming for iTunes Match subscribers. 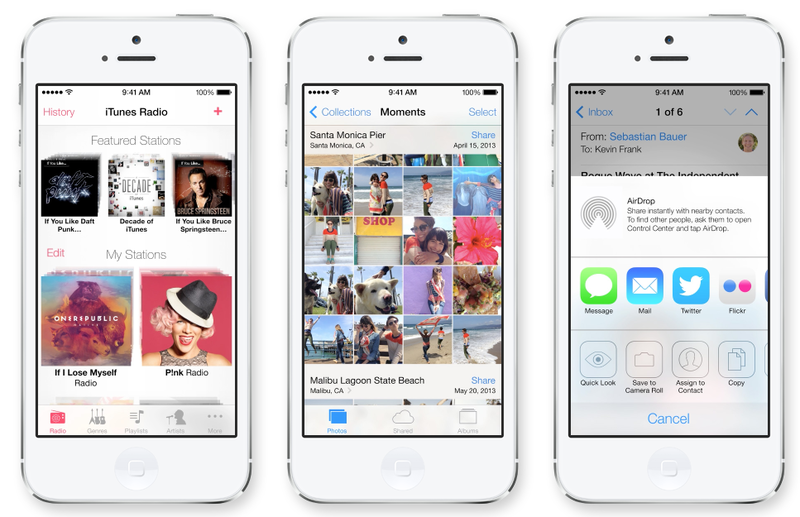 iTunes Radio will be built in iOS 7 and will be available on the desktop as well. However, for now it will only launch in the United States, a concrete release date for the rest of the world hasn’t been decided yet. Should Spotify and Pandora, two of the biggest players in the game be worried about this development? I think not. That was our wrap up of the Apple WWDC 2013 keynote! Drop us a line telling us what you think of these developments and let us know if we’ve missed something! iPhone 4S and iOS 5 – What’s new?